The Accounting Standards Committee maintains contact with FASB, AICPA and other standards-setting organizations and reviews how their actions impact the industry. The Network, Programming & Streaming (fka Cable) Committee’s purpose is to promote the interaction and education of financial managers or cable operations and the cable programming communities. The Video Games Committee is focused on issues facing video games industry financial professionals and helps the Association to serve them through education, interaction, and communications. The committee’s goals include identifying common finance challenges for games professionals and developing best practices and standard guidelines for managing these issues. The Interactive & Digital Media Committee provides professional development and elevates the knowledge of MFM members with timely information on matters related to the digital space, including best practices on digital advertising & revenue generation, new and emerging trends, and non-traditional content delivery systems. The Internal Audit Committee, new this year, covers issues relevant to media industry internal auditors. The Localism Committee, also new this year, research and determines locations to hold free membership events, making it convenient for MFM members, prospective members, and industry leaders to exchange ideas, earn CPE credits and discuss issues facing the media industry. 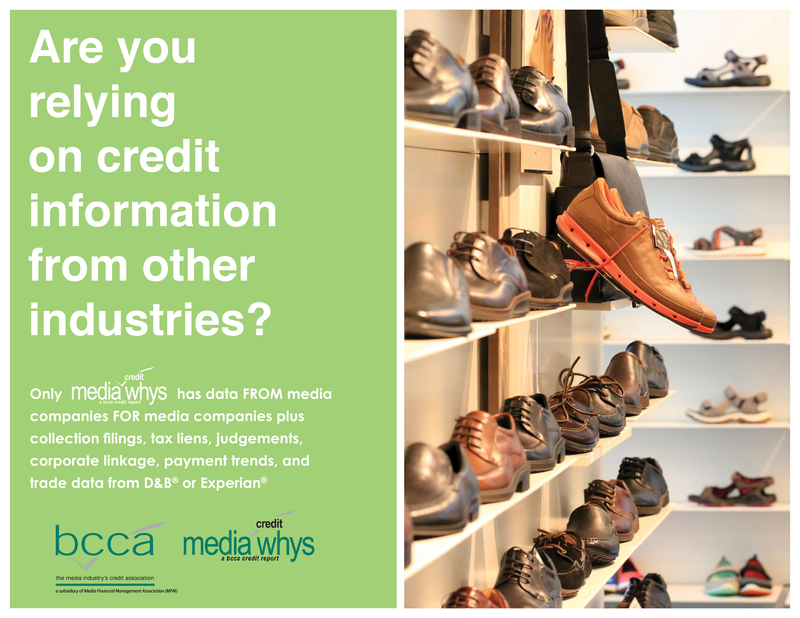 The Media Credit Committee (fka BCCA Committee) focuses on the needs of the credit/business managers. This committee is a vital part of the organization. It is comprised of BCCA & MFM industry members who not only help plan the annual conference panels, oversee writing and revisions of The Credit & Collections Handbook, contribute and find TFM articles, plan the annual BCCA Media Credit Seminar and help coordinate distance learning seminars but also discuss issues and topics that affect all BCCA/MFM members. The Membership Marketing, Promotion & Services Committee promotes MFM membership to all media financial professionals/executives as well as to associate members. Also identifies and develops strategic alliances with corporate vendors to provide members with quality discounted programs and services, as well as to evaluate existing member services and to create new opportunities for additional membership value. The Newspaper Committee is a forum for issues facing the newspaper industry and helps MFM serve that industry through education, instruction, and communications. Its goals include identification of needs, development of special program segments of the Annual Conference and the bringing together of members who share the same professional duties. The Radio Committee provides a forum for issues facing the radio industry and helps MFM serve that industry through education, instruction, and communications. The Tax Advisory Committee serves as a watchdog for adverse tax legislation and analyzes possible impacts of same. The Television Committee educates members and the industry about television and cable television programming and technology and provides a forum for issues facing these industries. The Financial Manager Editorial Board works with the journal’s editor as well as with the other Committees to solicit stories of interest to members, to review articles submitted, and to provide editorial direction for the magazine. The Young Professionals Committee is for members under 35, provides career-oriented individuals with opportunities to develop professionally through networking, career building, and education.